Seeing clients understand the concept of being financially stable through real estate is what Jesse Renteria is passionate about and it shows with his ability to help first-time homebuyers qualify for a loan when they have been turned down elsewhere! With over 18 years of experience, Jesse has an extensive background in the mortgage industry and currently serves as a Senior Loan Officer for Mason-McDuffie Mortgage. Real Estate Agents and homeowners do business with Jesse because his experience enables him to quickly qualify customers and handle any roadblocks that might occur. Jesse’s focus is on providing a simple, easy to understand process for everyone! Pre-approvals and quick turn-around times make Jesse a favorite among local Real Estate Agents and a sure win for first-time home buyers. As a CalHFA Preferred Loan Officer, Jesse’s focus on education allows him to explain the loan process, making home owners feel at ease. Jesse Renteria is passionate about helping potential homeowners who may not think they qualify for a mortgage to find the perfect loan with various down payment assistance programs. Homeownership is the American Dream and one that Jesseis proud to help his clients achieve. Married with four boys, Jesse spends his spare time coaching his boy's soccer teams, hiking and biking the new trails around the Bay Area, producing electronic music in his home studio and just trying to be a great dad to his children. Jesse has a demonstrated track record of helping homeowners buy their first home and come back to him to refinance or purchase their second home. 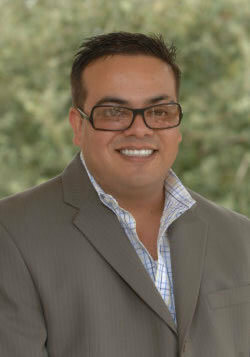 A trusted professional among real estate agents, Jesse is a part of the community he serves. If you ask Jesse about his greatest accomplishment, he will tell you that it is doing what he does each and every day as a loan officer with Mason McDuffie Mortgage. Jesse’s commitment to providing personal attention to detail, staying on top of what’s happening in the industry and being there for his clients every step of the home buying or refinance process is unparalleled. Jesse may be reached at 925-895-1104.